The instructor is Tony Passos a second degree black belt in Brazilian Jiu Jitsu under the legendary Ricardo De La Riva. With most of the De La Riva team in Brazil, Tony formed a close bond with Andre Galvao and became a quintessential part of their team and one of the best coaches in the Jiu Jitsu world. 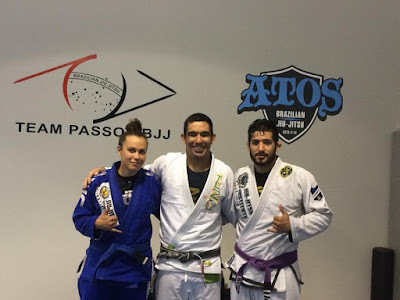 He now represents ATOS Jiu Jitsu in Northern Virginia. What I like: I love the emphasis on practical drilling and warm ups. Tony is including some pretty rigorous cardio in the initial class drills and you might not even notice it. 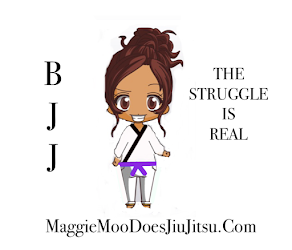 The initial warm-up drilling was probably a good 20 minutes of class and just during that time period alone I saw my skills sharpen, my arm bar get a little tighter and smoother each time. After class I remarked to a student that I was glad I was able to attend a competition class. She smiled and said "Oh, this was just our fundamentals class." My mind was blown. Tony is of the belief system that if you can do it in class, you can do it when you compete. This is evidenced by his no nonsense teaching style and the sheer amount you are guaranteed to sweat before you even begin rolling. Tony and his students work hard and their work ethic is direct reflection of his leadership. What are the classes like: Tony's academy is open Monday-Saturday evenings and mornings. His school features: fundamentals, kids classes, advanced classes and private training sessions. Each class features conditioning and strategic understanding of techniques. Tony is thorough, down to the direction that your toes should be pointing. He is technical and provides every little detail to assist his students in understanding the moves. 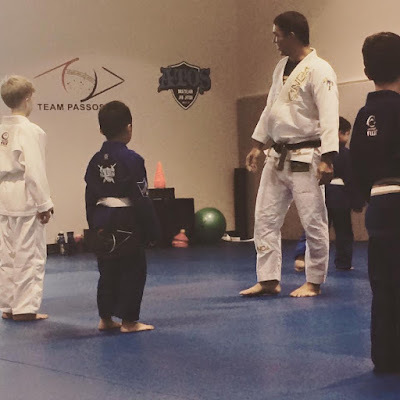 Kids Classes: I was particularly impressed with Tony's kids class. Never before have I seen such disciplined, technical little practitioners. Tony refers to it as "Zoo Jitsu" and allows each student to pick an animal name. His students were lined up, ready to go and more focused than the majority of adult advanced classes. He allows students to lead drills and select their own partners but makes sure they stay challenged. He is tough, but fair and his children's program is full of absolute warriors. Just last month I attended a competition where one of his kids was competing and it was like watching a calm,focused little world champion compete. 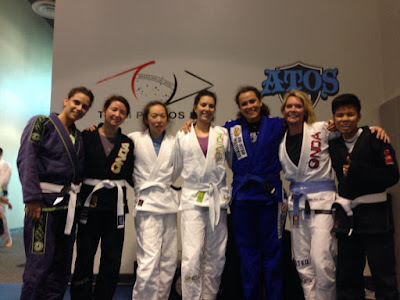 Special Features: It's pretty amazing to get a taste of ATOS Jiu Jitsu all the way out in Virginia. 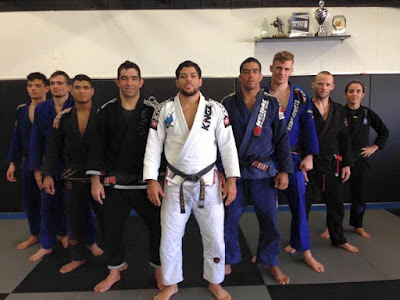 Tony really is a top level Jiu Jitsu practitioner who has produced some excellent students. One being Black Belt, Kris Kim (an ATOS affiliate in Seoul, South Korea).Tony's students have access to seminars by some of the greats! 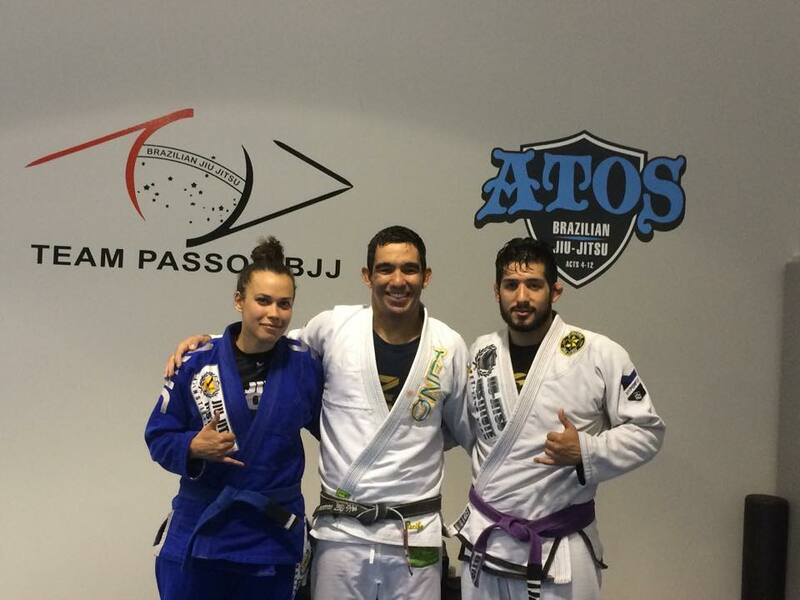 They offer seminars throughout the year by the likes of: Andre Galvao, Gustavo Campos and Claudio Calasans. This is a school for students of all levels, backgrounds and abilities. Tony is a game changer and you are guaranteed to come away learning something that improves your jiu jitsu significantly! Tony's school also has a group of excellent women for those ladies looking for female training partners!